Heart rate at 154 Beats per minute. 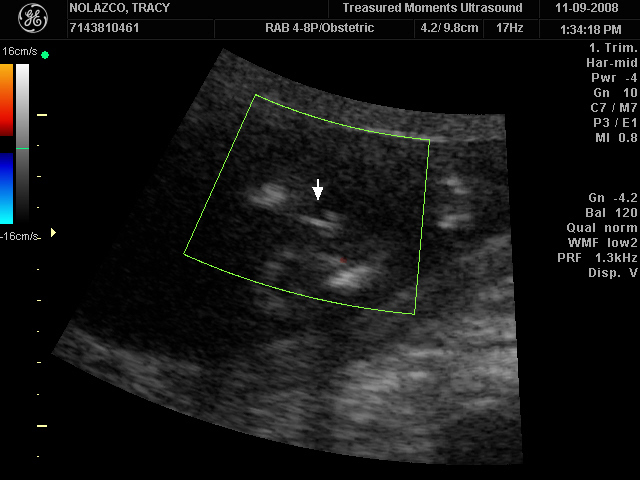 I have lots and lots more pictures but the little guy is so little… I will post more at the next ultrasound pretty soon. We went saturday and no luck! The little guy wouldnt even show us the face or uncross the legs. 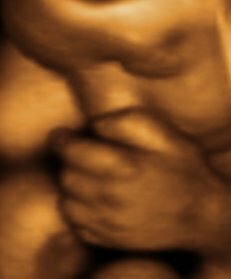 So Saturday my pregnant facial chick told me about her elective ultrasound she did on her own so she can find out the gender early!! She said they do all kinds of neat stuff for you… and I looked it up. Its great!!! I am so excited!! 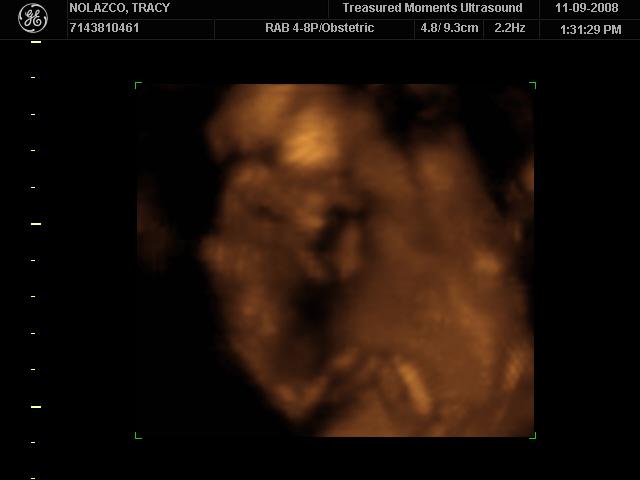 My baby wont look like this picture because its really early for an ultrasound…. 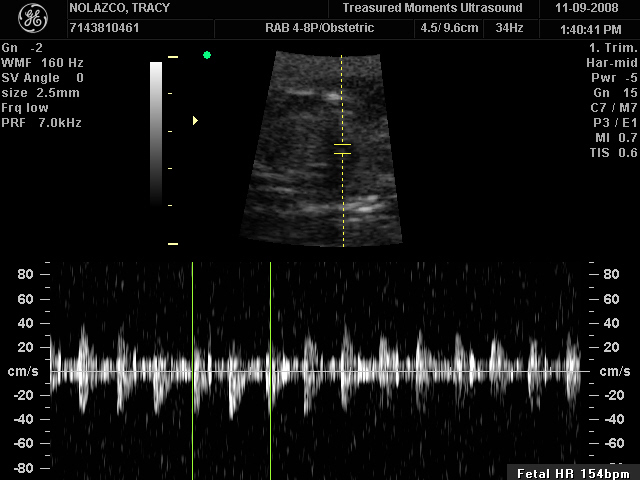 it will look more skeletal than this of course, but I will be able to tell if its a boy or a girl!!!!! It wont be covered by my insurance but its all worth it!